“Something’s Bound To Happen” by Michael Kasenow is an eclectic collection of poems. They are all different – some long, some short; some rhyme more than others, some talk of pain, some of youth’s blitz, some are about life, others are about death. They all go from our beautiful humanity to our sins, and are all deep expressions of our human soul. The author presents his collection in a simple format, in some cases sharing a quote at the top of the page. I specifically loved this feature, as the quotes will get the reader in the mood for the poem that follows. The poems are not organized following any specific identifiable order, however, the reading flow made sense to me, whether reading in order or jumping through. On the ground, in the spring. I loved its lightness, and the way it transported me to that time when I played free as a little girl, making me miss the freedom our souls had when we were young and naïve. 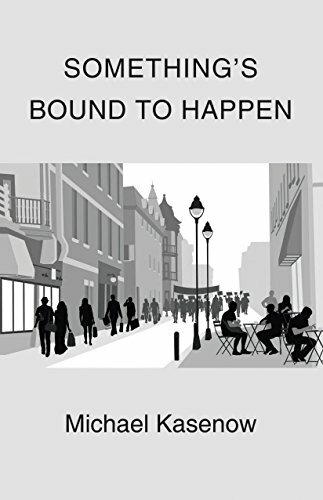 Overall, I totally loved Michael Kasenow’s “Something’s Bound to Happen.” It will definitely remain in my library to enjoy from time to time. It is a five star collection of poems that is both inspiring and thought provoking.